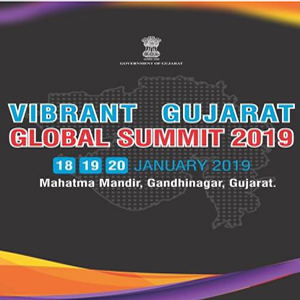 The theme of Vibrant Gujarat Global Summit-2019 will be ‘Shaping of a New India’, it was decided at the first meeting of the Advisory Committee of the event on Friday. The summit is proposed to be held between January 18 and 20 next year. The Gujarat government started holding this biennial investor gathering when Narendra Modi was chief minister. In the meeting of the advisory committee on Friday, chief minister Vijay Rupani said the state was ready to contribute to prime minister Narendra Modi’s vision of India with an holistic development approach. ‘Youth Connect Forums at the summit will facilitate interactions between young achievers, successful businessmen and traders and the youth, Rupani said. There would be discussions on success of sectors like pharma, diamond, manufacturing and SEZ in the state, he said. The meeting was attended by Pankaj Patel of Zydus Cadila, Rajendra Shah of SAL Hospital and Girish Patel of Sterling, among others. Please provide us with your contact information so that our executive can get in touch with you.